At CES 2019, HP upcoming gaming display is supported by the NVIDIA’s G-SYNC HDR that offered a smooth playback and high quality colors across a wide dynamic range. The new HP OMEN X Emperium 65 has 65 inch screen display, 16:9 aspect ratio with a dimension of 1,448.08 × 340.4 × 934.22mm and a weight of 36.1 kg for the display and a 8.8 kg for its sound bar. 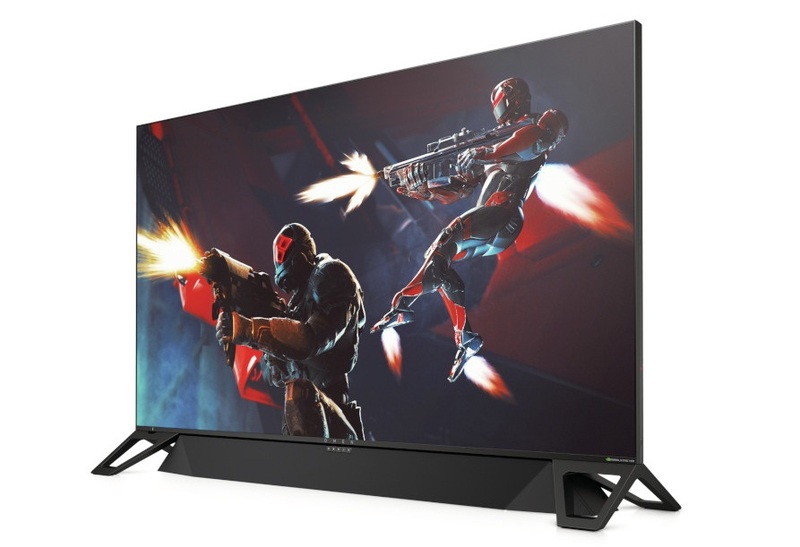 The OMEN X Emperium 65 has an AMVA system and a resolution of 3840×2160. The refresh rate for fluid gameplay is up to 144hz. For the connectivity of the new device, it has a DisplayPort 1.4 input and three HDMI 2.0b inputs that support HDMI ARC. The keyboard has a full-size with four zone lighting. HP confirmed that the starting price of OMEN X Emperium 65 is $4,999 and it will be released next month.